Hi, My name is CARSON. Are you looking to make a difference in a dogs life ? 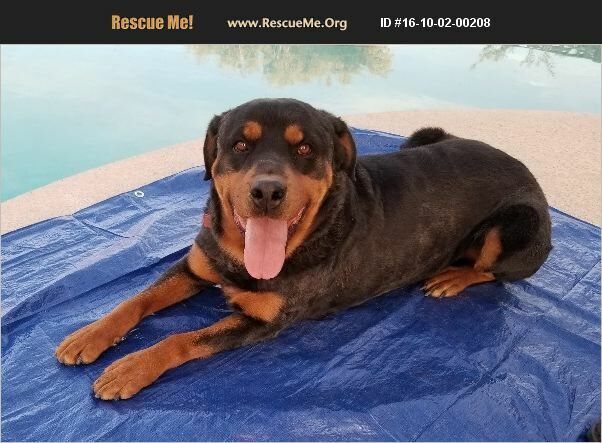 I am a gorgeous 4 yr old male rottie with a deep bark and a protective, sensitive nature. I am still waiting for my special someone to find me and make me their forever companion. I am playful and am working on my basic commands. I've had a bit of a rough life so I do want all your love and patience. I have come a long way in my foster home, but now I need the one on one guidance that a permanent home can provide. Must be an adult only home. No kids or other pets. Recommending previous Rottweiler experienced adopters only. For details and to schedule a meeting with me, please call 623-239-6655 or call/text 508-496-1428.